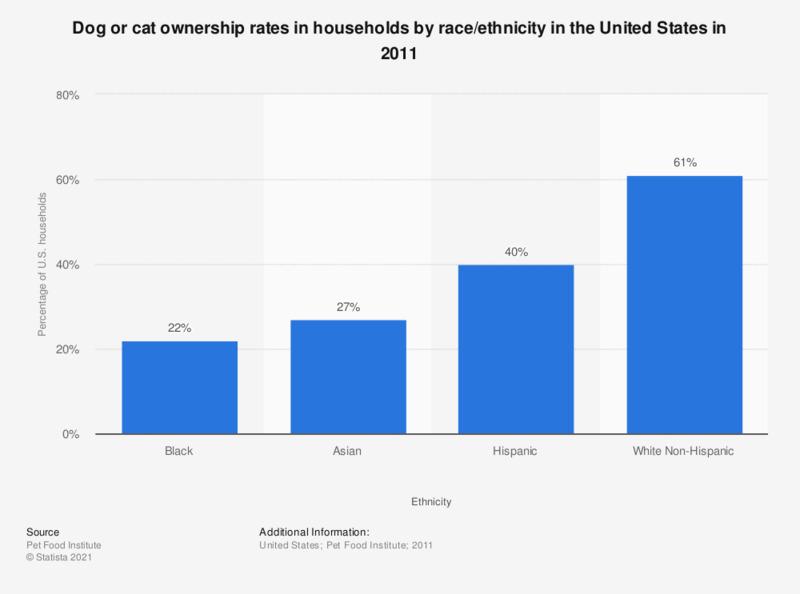 This statistic shows the dog or cat ownership rates in American households in 2011, by race/ethnicity of the owners. 22 percent of American households owning a cat or a dog had a black ethnic background. If you had to decide: Do you prefer cats or dogs? Do you think that dogs and cats can provide life lessons to men? Do you think black cats are good luck or bad luck?